Join GloryHoundd and The Uninvited Gamers at Games U as they talk about their new programming. The Uninvited Gamers will also be breaking down Reef, Ethnos and Frost Grave. Meanwhile shenanigans brew as DrGloryHogg tells you how to pronounce game names! 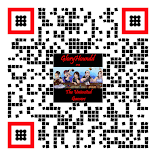 Make sure to give us a thumbs up and follow us on YouTube. Make sure to follow this week's Uninvited Gamers on Twitter: @GloryHoundd, @Rlnewby, @DrGloryHogg, @Gamestateshow and a special thanks to our Editor @MilkmanofDeath. Join GloryHoundd and The Uninvited Gamers at Games U as they talk about the True Dungeon Experience. 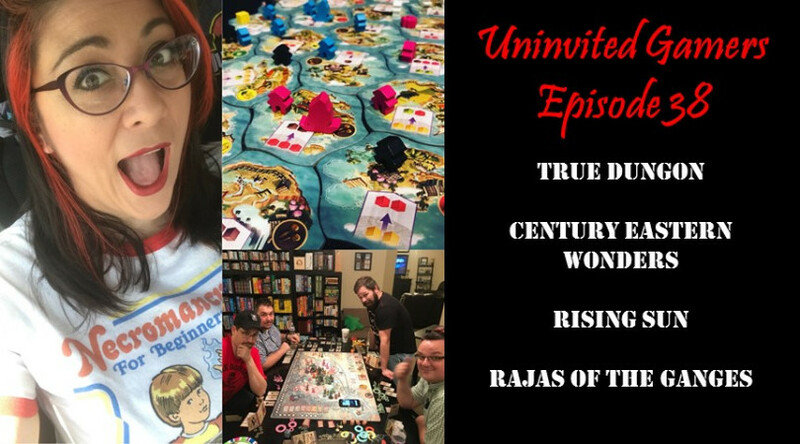 The Uninvited Gamers will also be breaking down Century Eastern Wonders , Rising Sun and of the Rajas of the Ganges. Meanwhile shenanigans brew as GloryHoundd shares how to get her to the gaming table! Check out Episode 38 and make sure to rate and follow us on Stitcher and iTunes. 29:12 - Rajas of the Ganges - HUCH! Make sure to follow this week's Uninvited Gamers on Twitter: @GloryHoundd, @DrGloryHogg @GregcDickson and a special thanks to our Editor @MilkmanofDeath. 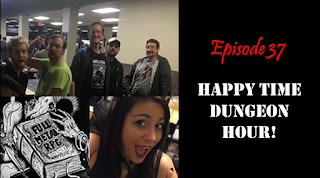 Episode 37: Happy Time Dungeon Hour! Join GloryHoundd and The Uninvited Gamers at Games U as they interview the Full Metal RPG Crew. The Uninvited Gamers will also be taking you on a long walk through the monster infested, MYSTERY DUNGEON 1000! Meanwhile shenanigans brew as GloryHoundd uses her deadly powers to give DrGloryHogg the greatest two minutes of his life! 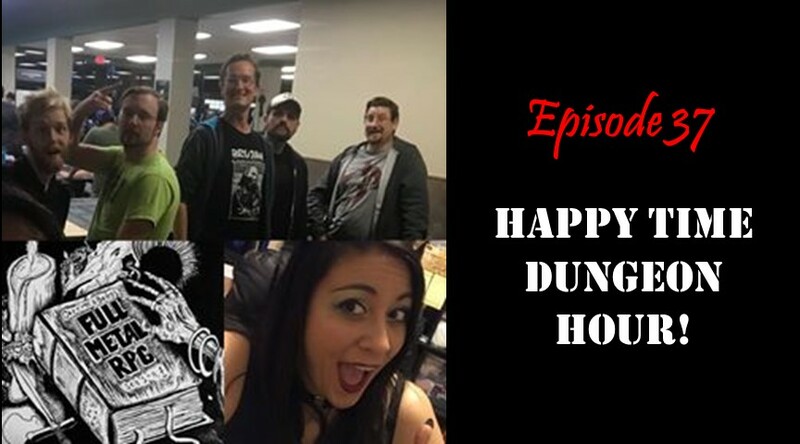 Check out Episode 37: Happy Time Dungeon Hour! Make sure to follow this week's Uninvited Gamers on Twitter: @GloryHoundd, @Rlnewby, @DrGloryHogg and a special thanks to Brendan and Adam from Full Metal RPG. 01:32- Who's Full Metal RPG??? 45:25 - MYSTERY DUNGEON 1000! Make sure to check out Gloryhoundd and the Uninvited Gamers and Full Metal RPG at Arizona Game Fair! Episode 36: We Like Big Cons! 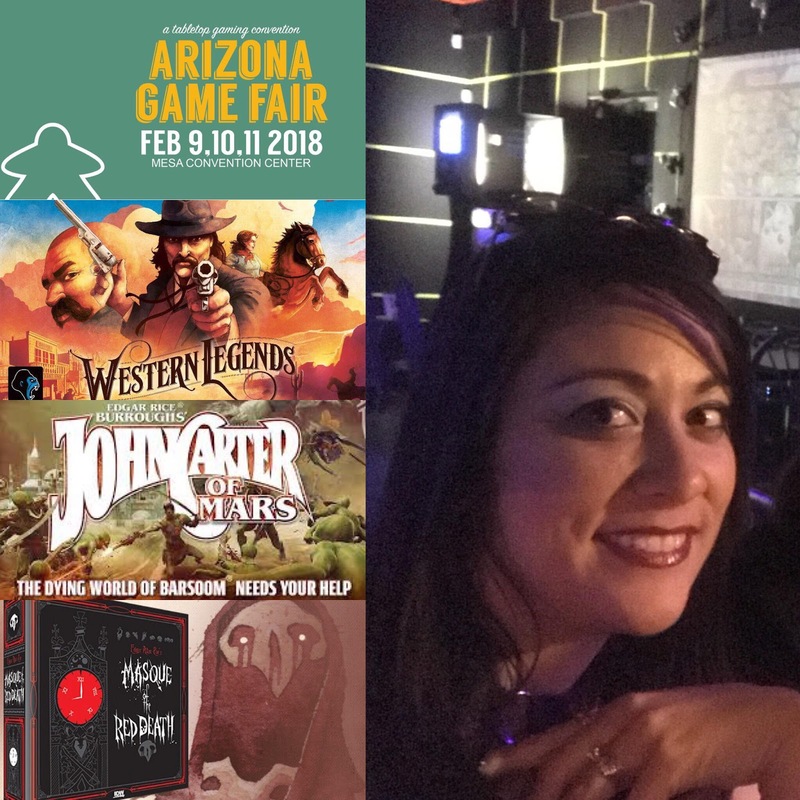 Join GloryHoundd and The Uninvited Gamers at Games U as they talk about the Arizona Game Fair. The Uninvited Gamers will also be helping you navigate the Kickstarter gauntlet by breaking down Masque of Death , Western Legends and John Carter of Mars. Meanwhile shenanigans brew as GloryHoundd shares what she'll play on the table! Make sure to follow this week's Uninvited Gamers on Twitter: @GloryHoundd, @Rlnewby, @DrGloryHogg and a special thanks to Andrew Long from Spiel Pro. Episode 35: The Glory House! Join GloryHoundd and The Uninvited Gamers at Games U as they talk about Continuity - the Game of Fictional Timelines. The Uninvited Gamers will also be helping you navigate the Kickstarter gauntlet by breaking down Stumped: Deck Building , Museum Rush and Chronicles of Frost. Meanwhile shenanigans brew as GloryHoundd gives their house a new name! Check out Episode 35: The Glory House! Click here to listen or right click and choose "Save Link As..." to download, and make sure to rate and follow us on Stitcher and iTunes. Make sure to follow this week's Uninvited Gamers on Twitter: @GloryHoundd, @Rlnewby, @DrGloryHogg and a special thanks to EyeProfet. Join GloryHoundd and The Uninvited Gamers at Games U as they talk about the Unrivaled Tournament Series, Oomba.tv and MTG Arena. The Uninvited Gamers will also be helping you navigate the Kickstarter gauntlet by breaking down Jagged Alliance and The Mimic Chest. Meanwhile shenanigans brew as the Uninvited Gamers drink bourbon and discuss what to do in Las Vegas. Check out Episode 34: Unrivaled Tournament! Click here to listen or right click and choose "Save Link As..." to download, and make sure to rate and follow us on Stitcher and iTunes! Make sure to follow this week's Uninvited Gamers on Twitter: @GloryHoundd, Richard Newby @Rlnewby, @DrGloryHogg and a special thanks to EyeProfet and Just Colleen. 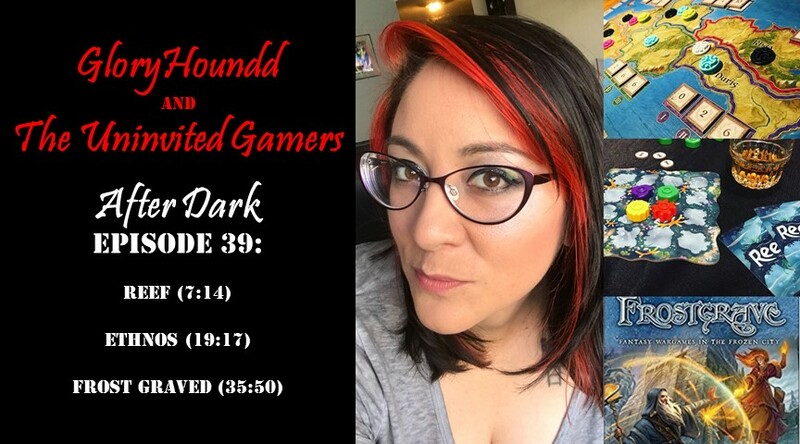 Join GloryHoundd and The Uninvited Gamers "After Dark" as they talk about their favorite Halloween Games. The Uninvited Gamers will also be helping you navigate the Kickstarter gauntlet by breaking down the Coma Ward , Purgatory and Tyler Sigman's Crows. 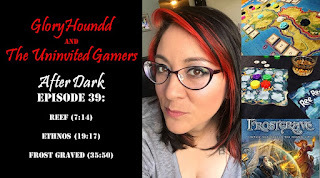 Meanwhile shenanigans brew as Gloryhoundd tells what her favorite Spooky Games are! Check out Episode 33: Spooky Games! Also make sure to follow this weeks Uninvited Gamers: GloryHoundd, DrGloryHogg, Richard Newby and Greg. 01:10 - Small Talk - Halloween Games! Episode 32: All the Single Gamers! 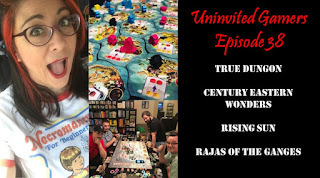 Join GloryHoundd and The Uninvited Gamers "After Dark" as they talk about RinCon, Tabletopia and an Online Blood Bowl League. The Uninvited Gamers will also be helping you navigate the Kickstarter gauntlet by breaking down the 7th Continent , Sunset Over Water and Stem: Epic Heroes. Meanwhile shenanigans brew as Gloryhoundd tells you how to hang out with women. Check out Episode 32: All the Single Gamers! Also make sure to follow this weeks Uninvited Gamers: GloryHoundd, DrGloryHogg , Richard Newby and Greg . Join GloryHoundd and The Uninvited Gamers as they talk about Las Vegas Open and Malifaux. The Uninvited Gamers will also be helping you navigate the Kickstarter gauntlet by breaking down DoomTown Reloaded. Meanwhile shenanigans brew as the Uninvited Gamers discuss who's the greediest gamer. Check out Episode 31: Greedy Gamers! Click here to listen or right click and choose "Save Link As..." to download and make sure to follow us on Stitcher and iTunes. Also make sure to follow this weeks Uninvited Gamers: GloryHoundd, DrGloryHogg , Richard Newby , Richard from MaliPhoenix and Tim Kulinski from Saguaro Painting Services . Join GloryHoundd and The Uninvited Gamers as they talk about Warhammer 40k and Fall Out Miniatures. The Uninvited Gamers will also be helping you navigate the Kickstarter gauntlet by breaking down Zero Gravity. Meanwhile shenanigans brew as the Uninvited Gamers discuss how DrGloryHogg wants to be an underwear model. Check out Episode 30: Miniature Madness! Make sure to follow this week's Uninvited Gamers on Twitter: @GloryHoundd, @Rlnewby, @DrGloryHogg and Tim Kulinski from Saguaro Painting Services .